Vapefly Wormhole RDA VS GeekVape Loop RDA Who Will Win? It has Unique W shaped build deck .Easy coil building for both single and dual coils ,First-rate taste,big cloud .No E-juice spill. so i feel confused , whihc is beeter? DO you know the difference between them? 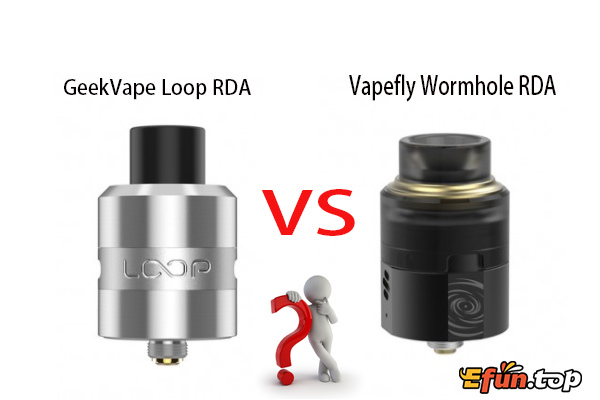 In your opinion Vapefly Wormhole RDA VS GeekVape Loop RDA Who will Win? Do you want to get them for free? Here is a chance.